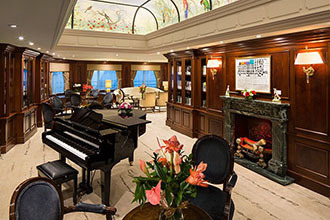 The Azamara Quest is a beautiful mid-sized ship accommodating just 690 guests. Onboard she boasts plentiful space, diverse activities and delicious culinary selections as you cruise in style to fabulous destinations. Some of her venues include bars, lounges, a pool and restaurants. 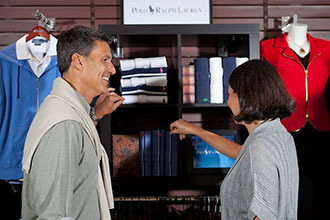 Enjoy warm personal service, from a staff always at hand to anticipate your needs. 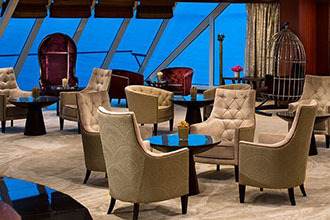 The Azamara Quest offers a country club-like atmosphere and a variety of chic venues, such as the Discoveries Lounge, the popular Looking Glass Lounge, with a dance floor illuminated by stunning Murano glass and itsfloor-to-ceiling windows. 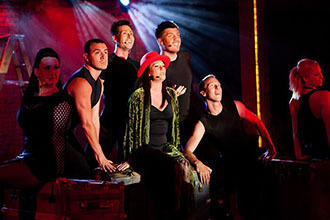 Another hot-spot is the nightclub-like Cabaret Lounge, with cozy tables where you can enjoy a host of shows. 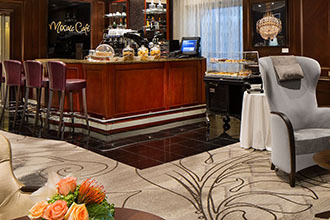 Sink into a comfortable chair at the popular gathering spot, Mosaic Café, where after dinner, it transforms into Mosaic@Night, perfect for socializing and enjoying live music. 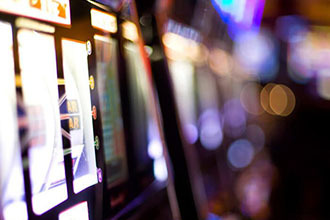 The Casino Luxe will keep you entertained with a variety of games and slot machines. Listen to the delightful sounds of a grand piano at the intimate and relaxing Michael's Club and select from 20 varieties of the popular drink at the Martini Bar. 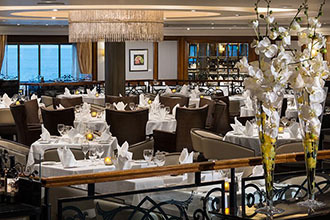 Fabulous culinary adventures and dining options await guests as acclaimed chefs combine innovation and attention to personal preferences to create fabulous daily menus with cuisine sure to delight your palate. 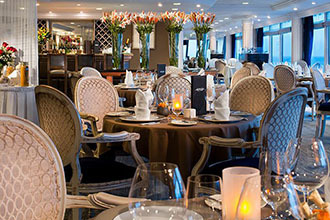 The stunning Discoveries Restaurant offers a variety of scrumptious nightly selections as you dine in an elegant yet lively atmosphere. Specialty restaurants include Aqualina, serving scrumptious Mediterranean cuisine and the classic wood-paneled steakhouse, Prime C. Pare gourmet meals with an incredible selection of wine from an 8,000-bottle collection of limited production, small label and rare vintages at the E Wine Cellar. 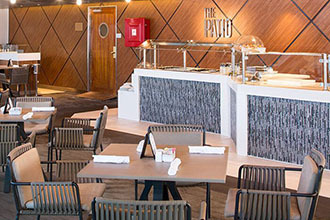 Casual fare is featured at the Pool Grill and Windows Café is a buffet-style eatery serving sushi, pastas and regional specialties. 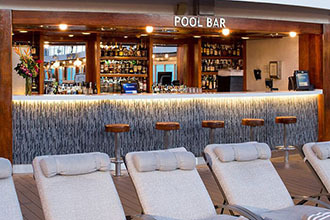 Onboard guests will enjoy amazing poolside buffet feasts and boutique wines and as the sun sets they can dance late into the night to a live band. 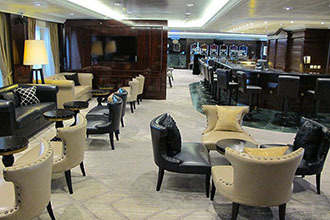 Shop for lovely items, plus exquisite jewelry and watches in the onboard boutiques. 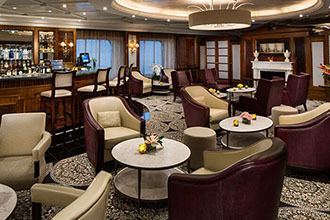 Read or relax at the library, a quiet jewel on the ship, with a beautiful collection of books. Rejuvenate at the Azamara Spa, an oasis of tranquility, with fabulous treatments, such as the Thalassotherapy Pool with bubbling salt water. 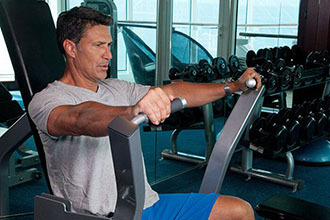 Workout at the Fitness Center and enjoy full services at The Salon, for both men and women. 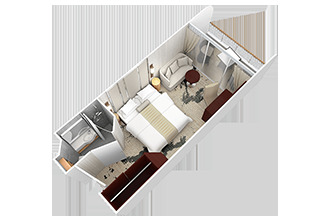 Beautiful and comfortable staterooms feature exquisite furnishings and fine European linens. Most of the staterooms boast verandas which offer fresh sea air and amazing views. 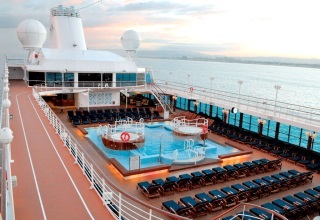 Cruise on the Azamara Quest, a wonderful place to call your home away from home! Destination ImmersionSMenhances your travel experience by highlighting the best of local traditions with late night or overnight stays on over half of the port visits. AzAmazing Evenings™, are complimentary onshore events that provide an up-close experience of local traditions through dance, music, theater and cuisine. Port-of-call lectures, Land Discoveries® seminars, wine-tastings and culinary demonstrations are also a fascinating and enjoyable way to learn more about destinations. Stay connected at computer stations, with 24-hour access to Internet and email. WiFi service is also available. 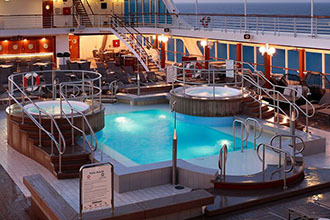 Cruise on the Azamara Quest to worldwide destinations, including the Mediterranean, Transatlantic & Repositioning, Transcanal/Panama Canal, British Isles & Coastal, U.S. & Canada Pacific, Greece/Turkey/Black Sea, the Caribbean, Asia/Africa/Middle East, South Asia, Mexico, Baltic/Russia and Scandinavia & Fjords. 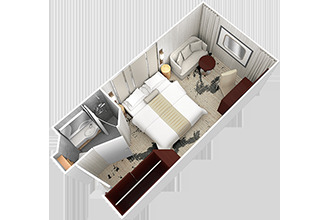 Completely refurbished with fresh contemporary décor in 2016, Two lower beds convertible to one Queen size bed, Some staterooms feature sofa bed, 40” flat-screen TV, Refrigerator with mini-bar, Thermostat-controlled air conditioner, Direct-dial telephone with voice mail, Writing desk, In-room safe, Hand-held hairdryer, USB ports under bedside reading lamps. 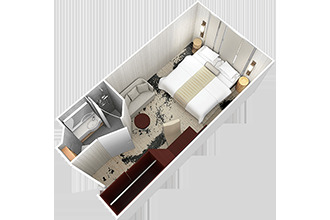 Completely refurbished with fresh contemporary décor in 2016, Two lower beds convertible to one Queen size bed, Some staterooms feature sofa bed, 40” flat-screen TV, Refrigerator with mini-bar, Thermostat-controlled air conditioner, Direct-dial telephone with voice mail, Writing desk, In-room safe, Hand-held hairdryer, USB ports under bedside reading lamps. 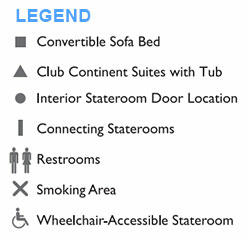 Accessible- Completely refurbished with fresh contemporary décor in 2016, Two lower beds convertible to one Queen size bed, Some staterooms feature sofa bed, 40” flat-screen TV, Refrigerator with mini-bar, Thermostat-controlled air conditioner, Direct-dial telephone with voice mail, Writing desk, In-room safe, Hand-held hairdryer, USB ports under bedside reading lamps, Stateroom door width: at least 32 inches, Bathroom door width: at least 32 inches, No doorsill to get into stateroom, Ramped bathroom thresholds, Bathroom grab bars, Lowered sink and stateroom vanity, Roll-in showers or accessible bathtubs, Fold-down shower bench, Lowered closet rod, Refrigerator in stateroom (upon request), Adjustable height commode chairs (upon request), Accessible balconies (selected staterooms). Completely refurbished with fresh contemporary décor in 2016, Two lower beds convertible to one Queen size bed, 40” flat-screen TV, Refrigerator with mini-bar, Thermostat-controlled air conditioner, Direct-dial telephone with voice mail, Writing desk, In-room safe, Hand-held hairdryer, USB ports under bedside reading lamps. 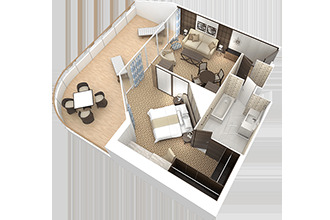 Accessible- Completely refurbished with fresh contemporary décor in 2016, Two lower beds convertible to one Queen size bed, 40” flat-screen TV, Refrigerator with mini-bar, Thermostat-controlled air conditioner, Direct-dial telephone with voice mail, Writing desk, In-room safe, Hand-held hairdryer, USB ports under bedside reading lamps, Stateroom door width: at least 32 inches, Bathroom door width: at least 32 inches, No doorsill to get into stateroom, Ramped bathroom thresholds, Bathroom grab bars, Lowered sink and stateroom vanity, Roll-in showers or accessible bathtubs, Fold-down shower bench, Lowered closet rod, Refrigerator in stateroom (upon request), Adjustable height commode chairs (upon request), Accessible balconies (selected staterooms). Completely refurbished with elegant contemporary décor in 2016, Spacious living room with a separate master bedroom,Master bedroom with one king size bed and a 40” flat-screen television, 55” flat-screen television in living room, Marble master bath with tub and shower, Dressing room with vanity and ample closet space, Floor-to-ceiling sliding glass doors in living room and master bedroom, Spacious 233 sq.ft. (21.7 sq.m.) veranda, Refrigerator with mini-bar, Thermostat-controlled air conditioner, Direct-dial telephone with voice mail,Writing desk, In-room safe, Hand-held hair dryer. Completely refurbished with elegant contemporary décor in 2016, Spacious living room with a separate master bedroom, Master bedroom with one king size bed and a 40” flat-screen television, 55” flat-screen television in living room, Marble master bath with tub and shower, Dressing room with vanity and ample closet space, Floor-to-ceiling sliding glass doors in living room and master bedroom, Spacious 233 sq.ft. (21.7 sq.m.) veranda, Refrigerator with mini-bar, Thermostat-controlled air conditioner, Direct-dial telephone with voice mail, Writing desk, In-room safe, Hand-held hair dryer. Completely refurbished with elegant contemporary décor in 2016, Two lower beds convertible to one Queen size bed, Spacious and comfortable sitting area, 40” flat-screen television in sitting area, Roomy bathroom with shower. 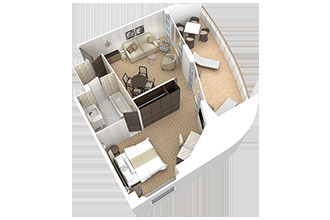 Some also feature a tub, Floor-to-ceiling sliding glass doors, Veranda, Refrigerator with mini-bar, Thermostat-controlled air conditioner, Direct-dial telephone with voice mail, Writing desk, In-room safe, Hand-held hair dryer, USB ports under bedside reading lamps. 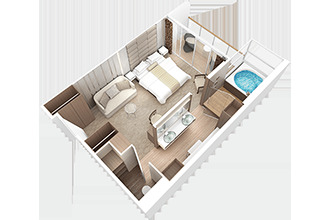 Newly built suites in 2016 with an elegant organic décor, Two lower beds convertible to one queen size bed, Spacious glass-enclosed bathtub, Separate rain shower, Comfortable sitting area, 55” flat-screen television in sitting area, In-room spa music, Floor-to-ceiling sliding glass doors, Veranda, Refrigerator with mini-bar, Thermostat-controlled air conditioner, Direct-dial telephone with voice mail, Writing desk, In-room safe,Hand-held hair dryer. 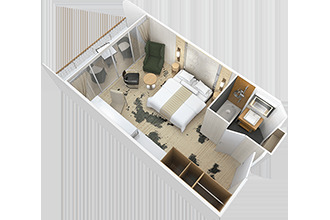 Completely refurbished with fresh contemporary décor in 2016, Two lower beds convertible to one Queen size bed, Sitting area with 40” flat-screen TV, Veranda, Refrigerator with mini-bar, Thermostat-controlled air conditioner, Direct-dial telephone with voice mail, Writing desk, In-room safe, Hand-held hairdryer, USB ports under bedside reading lamps. 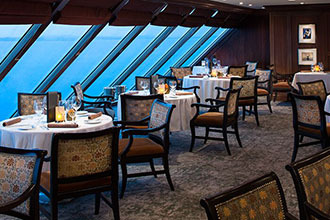 With open seating and stellar nightly selections, the main dining room, Discoveries, is not to be missed. You'll find all your classic dinner favorites, with a deliciously different twist, like gulf shrimp with cognac and garlic or a filet mignon with black truffle sauce. 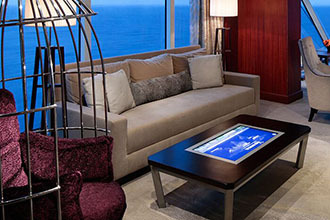 On the starboard side of the Living Room, guests will find the Card Room for those who love a round of Bridge or other games. 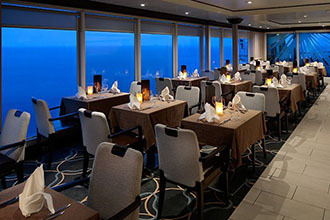 Four computers and interactive table tops are available for guest use during the voyage.? It's one-stop shopping in The Quest Shop. Apparel, sundries, handbags, candies, souvenirs and lots more await. If you find that you forgot to pack something, chances are you'll find it in The Quest Shop. 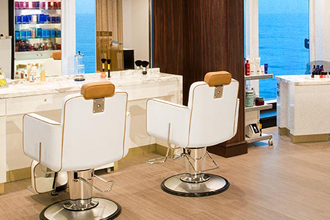 Our full service salon offers a menu of professional services for men and women, including:Hair styling and care including cuts, coloring, highlights and color correction.,Manicures and pedicures.,Salon favorites: Special packages of hair and scalp renewing rituals, milk-and-honey manicures and pedicures with massages, and barbering and grooming services. 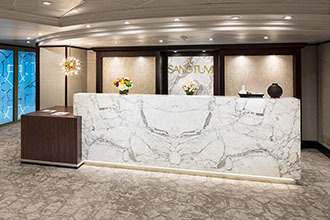 Azamara ships include a self-service laundry room, free of charge and open to all guests. Detergent is provided. Full laundry and dry-cleaning services are also available for a charge. 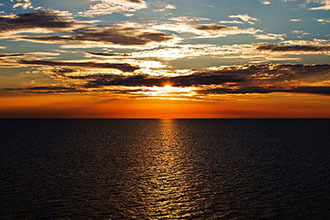 Take in the spectacular view as you burn off last night's wonderful dinner. You'll be so enchanted by the scenery that you won't even notice the workout!